Thanet can now lay claim to being the only district in the country – maybe even the world – where residents will be able vote for a concrete piling to take a seat on the council. 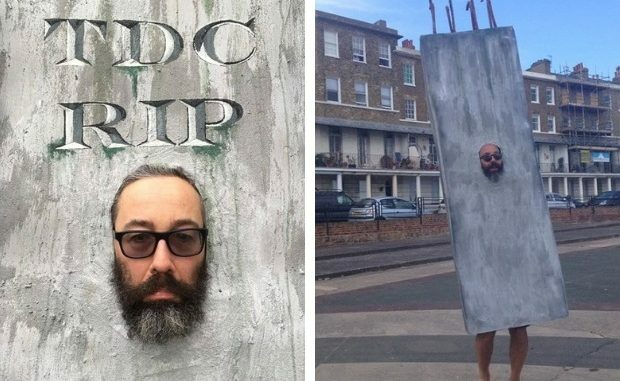 Ramsgate artist Gary Perkins –aka last Summer’s escapee Pleasurama piling – has announced he will be standing for the Sir Moses Montefiore ward. The 51-year-old moved to a property near the Montefiore Synagogue in 2007 and has opened up his home to community events including film screenings, Ramsgate’s Advent Doors (a Christmas fundraiser for Thanet’s Winter Shelter) and to a POW (Power Of Women Festival) for an art exhibition. He also occasionally hosts pop-up free film screenings in Margate and on Ramsgate’s Main Sands. 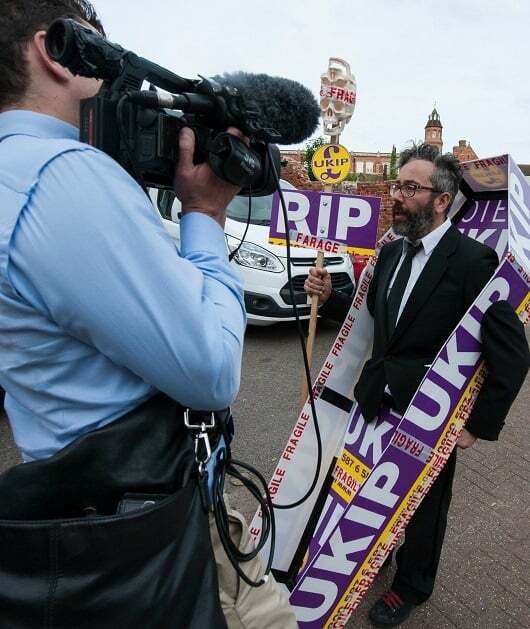 Gary is possibly best known locally for his creative political activism, including bolting Welcome mats to a UKIP adverting hoarding on St. Andrews Road in 2015 and, more recently, the escapee piling escapade highlighting the blight of the stalled building project at Ramsgate’s seafront Pleasurama site. He has worked in education for 30 years as a gallery educator and university lecturer in Liverpool and London. As a sculptor, Gary has worked and exhibited in Japan, USA, Australia, New Zealand, the United Arab Emirates and throughout Europe. 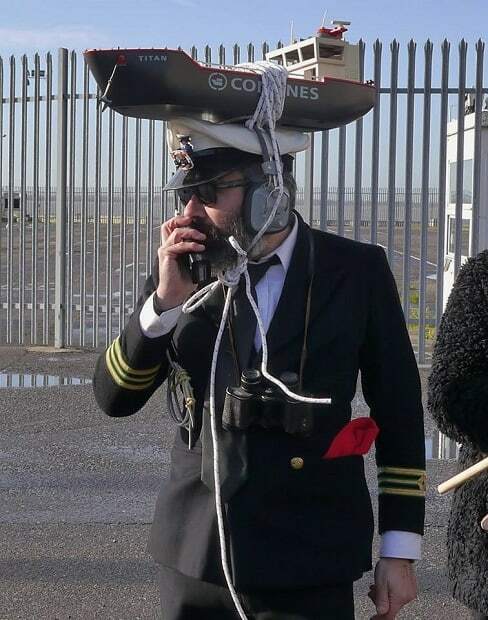 Now, motivated by what he describes as “a continuing chaos in local and national politics”, Gary has thrown his (ship-topped) hat into the ring to fight for votes in this May’s local elections. As an independent he says he is sidestepping any party political endorsement in a bid to be better placed to represent everyone and offer them a choice at the ballot box. He said: “We have in our ward some of Thanet’s best outside spaces, I want to make sure that our parks, beaches and the streets we share are safe, clean and available for everyone to use and enjoy. “Without getting too Biblical, Sir Moses Montefiore Ward is a little like Noah’s Ark: We have two general practice partnerships in our health centre, two dental practices, two primary schools, two large green spaces in King George VI Memorial Park and Ramsgate cemetery, even our chip shops and tattoo parlours come in pairs. The elections take place on May 2. Hopefuls will go head to head in the fight for 56 seats at district council. The authority is currently led by a minority Conservative administration. It is composed of 22 Conservative; 14 Independent and UKIP Group; 12 Thanet Independent Councillors Group; 5 Labour and 2 Independents. Good on you. Sadly I don’t live in your ward, but if I did you would definitely have my vote. I am aware of 3 partnerships at the medical centre, I know of one dentist, can anyone tell me where the other one is ? The best fish and chip shop is in the ward, where is the other? Much has been done in Sir Moses Montefiore Ward by previous councillors, like Village Green Status for the tennis courts to stop bukding on them, Montefiore woodland , a Muga with Kim Ishbel in Argyle Drive, Play areas in Prestedge and more to come by support of local people. Over your heard cardboard box not required. Support for local schools is a must.real help for real people. Hello Pat, I know you’ve been on the edges of local Labour politics for a while now and have been rallied by a chaotic South Thanet Labour Party to run again for councillor as STLP struggles to find candidates,even “paper candidates”. My reference is to the Grange Practice and Eastcliff Practice. While you appear to know where the “best chippy ” is you’re local knowledge of Hereson Road needs to be refreshed, things have been changing lately. As someone who’s worked in education for 30yrs I know how important it is to protect our education provision locally, and I’m sorry say that the people living in Prestedge Avenue need a lot more support from their Council and Councillors than simply offering up a “little used” play area. Since I campaigned for Labour in Dumpton in 2015 little has been done by their elected representatives, I promise to change that. But a Fruit Loop on a mission…watch this space. Anyone who can stop the current leader of TDC along with Gale and Mackinlay from their aviation obsession would get my vote. Save Ramsgate from the merry go round of TDC councillors as they all elbow each other out of the way depending on which way the failed flight path is facing. Never lived in such an area which chooses to neglect the actual residents so badly. 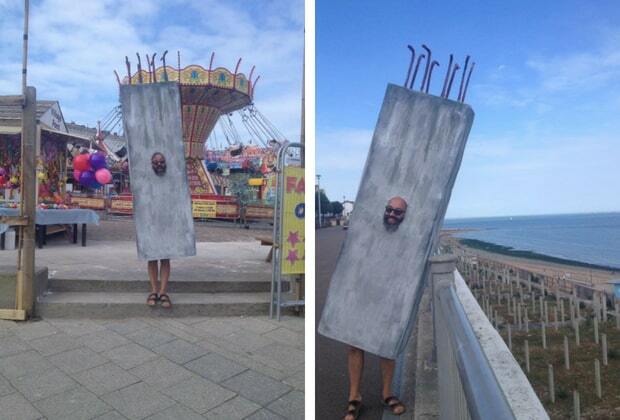 An actual concrete piling could have resolved the Pleasurama debacle years ago. Another TDC stuff up that the Ramsgate residents have to suffer as we watch our beautiful town struggle at the hands of constant political ineptitude. Terrible. Good luck to you Gary.